Real-time insight via digital cockpit. Meet the experts in yachting accountancy. Avaletta’s experienced superyacht accountants guide you through the intricacies of yachting financial matters while saving you time and money. The firm uses intelligent software to give yacht owners, captains or fleet managers real time insight into the yacht’s operating costs, VAT status, and reports. 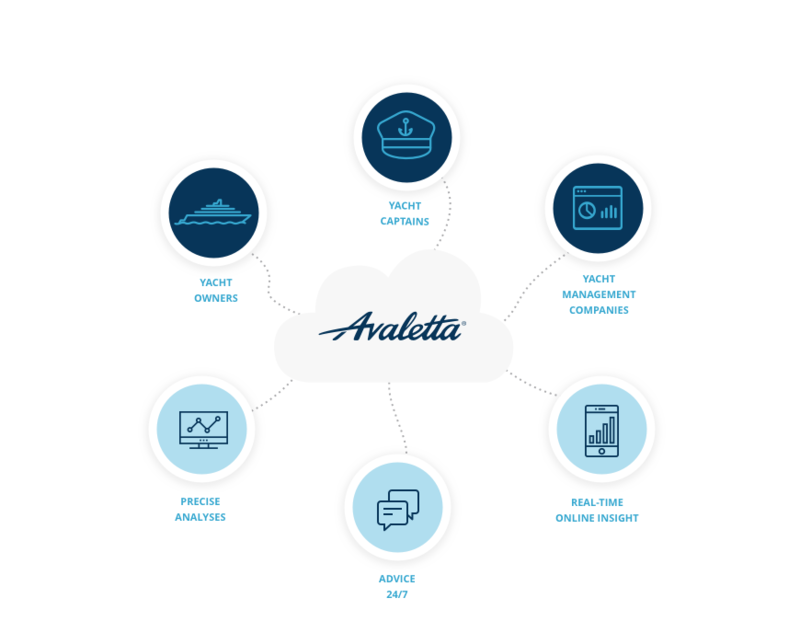 Avaletta sets a new standard in the service level that can be expected from superyacht accountants, and was created in response to slow responses from accounting firms, delayed, printed reports and a lack of movement into the digital space. Intelligent, custom-made software used by Avaletta’s accountants brings all the yacht’s paperwork needs together into one online portal, delivering real time insights into the yacht’s administration. Being responsible for a yacht, you want to make your decisions based on facts, and anticipate new opportunities. Whether you’re an owner, captain and/or management company, the accountants of Avaletta will keep you informed about the figures and performance of your yacht. The intelligents software offers real-time online insight, with easy-to-use, superior technology, precise analyses and 24/7 advice from our specialists.